A toast to our “Top 20”! We’re a people group. As a grassroots organization, Appalachian Voices is deeply connected to the folks who live in and love the Appalachian region. Our work is driven by your connection to this place, and we draw inspiration every day from people who stand up to defend the mountains, waters and communities — especially in the face of powerful corporate and political interests. In short, we couldn’t do it without you, our members. On the occasion of our 20th anniversary year in 2017, we honored our “Top 20” longest-standing members, who we are indebted to for their years of steadfast support. Here are short profiles of some of our “Top 20” — with more to come throughout the year. 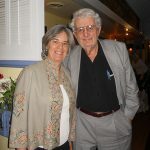 Kent Walton and Susan Tyree, Franklin County, Va.
Kent met Appalachian Voices founder Harvard Ayers in the 1990s, and became an early subscriber to The Appalachian Voice publication as well as one of the earliest contributors to our organization. He traces his connection to the natural world to childhood and recalls his father walking the field and crumbling the soil between his hands. 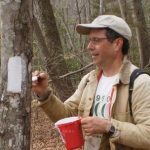 For the past 28 years he’s worked as an arborist in the Roanoke Valley and Smith Mountain Lake area. 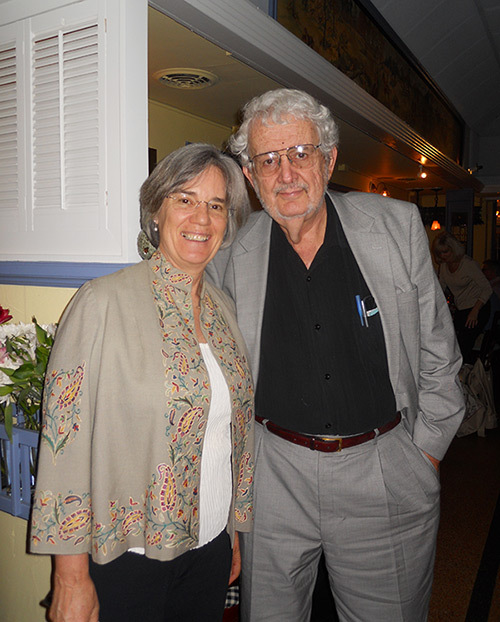 He and his wife, Susan, are Quakers, and deeply engaged in ecological and social issues. They are firmly opposed to the proposed Mountain Valley Pipeline and others like it — not only for the climate impacts, but for the effects they would have on the land and waterways. “We all need to remember that if we keep the water healthy it’s for everyone, it’s for the children and the future generations,” his wife Susan says. She grew up in the mountains outside of Roanoke, Va., and became passionate about nature at a young age. As an artist, she focuses on natural themes in her pottery, and serves as an interpreter at the Blue Ridge Institute Farm Museum in Ferrum, Va., where she reenacts daily life on an 1800s farm and teaches kids about traditional homestead games. 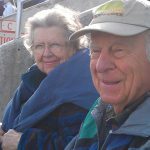 Appalachian Voices: How did you first hear about Appalachian Voices, and what motivated you to become a contributing member? 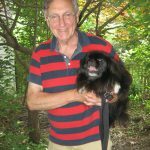 George Kegley: I don’t remember exactly where I first heard of Appalachian Voices, but I have always been interested in any material about the mountains — books, magazines, mailings, folklore, television, National Public Radio. I have lived most of my 88 years at the foot of a mountain. I always feel at home there. There is something comfortable about those green (or blue) ridges up there. AV: What are some of your favorite places or things to do in Appalachia? GK: Riding the Blue Ridge Parkway or any back road is always a pleasant trip, seeing what our neighbors are doing. I grew up on a Wythe County farm so I’m always interested in the remaining farms, their livestock and crops, how the people are faring. Also, in the past I have enjoyed a good amount of hiking mountain trails with my four children but my tired old legs can’t do that any more. AV: Why do you think it’s important to protect the region? GK: I want to preserve the rural way of life and the wonders of nature for future generations, like our twin great-grandsons, who will be a year old in June. I volunteer with Blue Ridge Land Conservancy, promoting conservation easements to save land and I live on a 116-acre farm in the city of Roanoke, protected by a Virginia Outdoors foundation easement. AV: What do you appreciate the most about Appalachian Voices and our work that keeps you renewing your membership year after year? 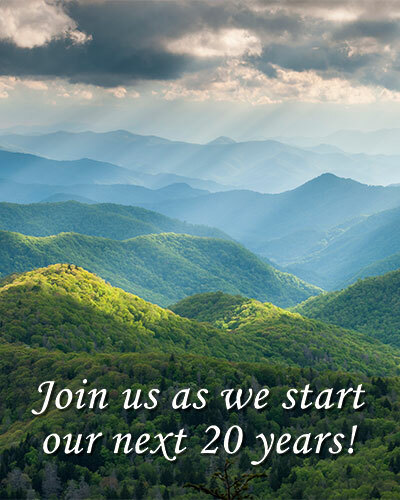 GK: I support Appalachian Voices because it is doing good work in such areas as mountaintop removal and stream protection, preserving Appalachia. AV: How did you first hear about Appalachian Voices and what motivated you to become a contributing member? 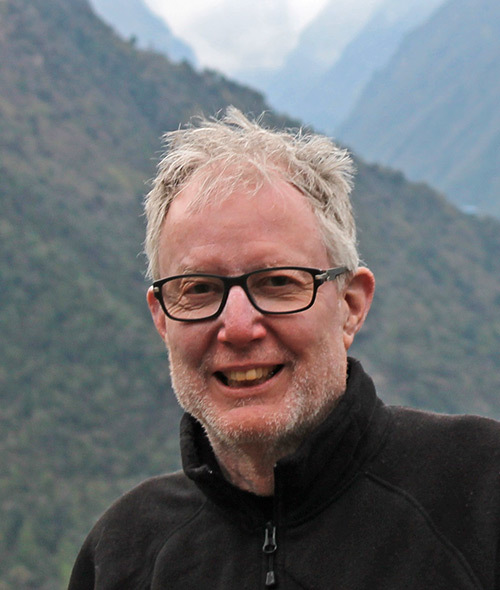 David Craft: I believe I picked up The Appalachian Voice in a local outdoor store. I appreciated the articles bringing attention to problem in the Appalachians. DC: The area is under intense development pressure from many sides. Someone needs to speak for the mountains and Appalachian Voices does just that. DC: Hike sections of the Appalachian Trail. DC: I am never disappointed with the issues of The Appalachian Voice I receive. This work is important and Appalachian Voices delivers. AV: How did you first hear about Appalachian Voices, and what motivated you to become a contributing member? 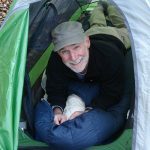 Larry Darby: When I picked up a copy of the wonderful Appalachian Voice paper in a outdoor gear shop in Charlottesville, Va. After reading it from front to back, I decided I wanted to read each issue and the easiest way to make sure I could was to become a contributing member of Appalachian Voices. I soon realized that supporting the mission of Appalachian Voices fit perfectly with my beliefs about our environment, people’s rights to clean air, water and land, and that those rights must be pursued through our political system. LD: I hike, bike, bird, camp and fish in Appalachia. Mostly though, I just like to spend a day or more walking and exploring the mountains and streams of this place. Nothing else refuels me or makes me as optimistic about life. LD: Once our natural environment is damaged or destroyed, most likely it won’t be resurrected in our lifetimes or maybe not ever. For many of us, that does great damage to our lives. As a result of the recent election, the profit motive is now the central driving force and standard for political decisions that affect our environment. This is an “all hands on deck” time for those of us who think differently. LD: Appalachian Voices is the most focused activist organization I know of for environmental justice for this region. It has been that way for all of my eighteen years of membership. 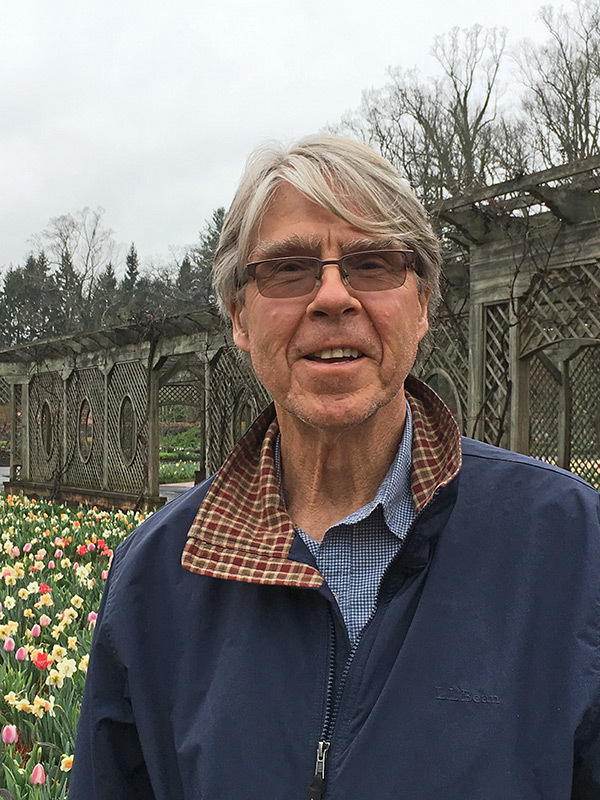 A long time resident of Maryland, Nicholas Young first heard about Appalachian Voices after dropping off his kids at summer camp at Tremont, on the Tennessee side of the Great Smoky Mountains. He picked up a copy of The Appalachian Voice at a shop, liked what he saw and joined our organization. Before discovering beauty and history in the Smokies, Nicholas did not consider himself as an environmentalist. 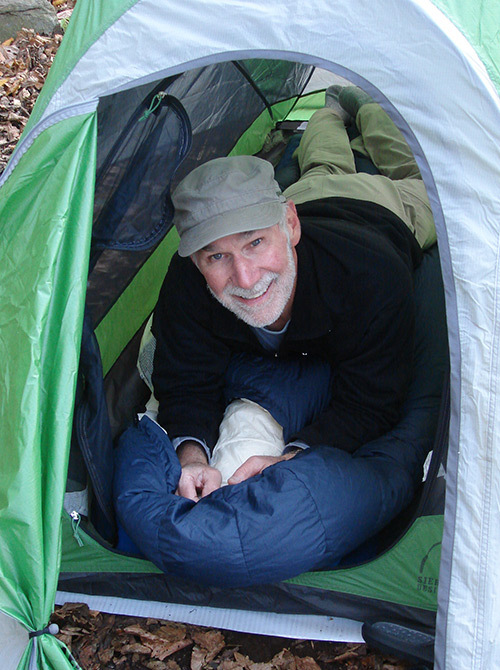 But after making those yearly trips with his children, he firmly believes in preserving the the environment, from local parks to national wilderness areas to clean water. As a Marylander, he’s also concerned about issues involving the Chesapeake Bay, including the decline in oyster populations. 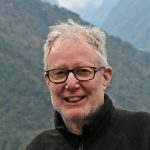 Preserving the history and the beauty of the mountains, is extremely important to Nicholas, and one reason why he has been one of our most stalwart supporters. Growing up on a farm in Lincoln County, N.C., Brenda Sigmon intimately knew the outdoors and understood her natural surroundings as a part of everyday life. Brenda picked up an issue of The Appalachian Voice years ago, and soon became a member. She began actively volunteering with our Boone, N.C., staff in 2002, and served on the organization’s board from 2006 to 2012. A retired school teacher and lifelong avid hiker, Brenda spends much of her efforts getting children outside and on trails to combat “nature deficit disorder,” an issue she became more aware of through Richard Louv’s 2005 book, “The Last Child in the Woods.” She emphasizes that getting kids outside not only lets them appreciate their natural surroundings, it helps prevent childhood obesity and diabetes. 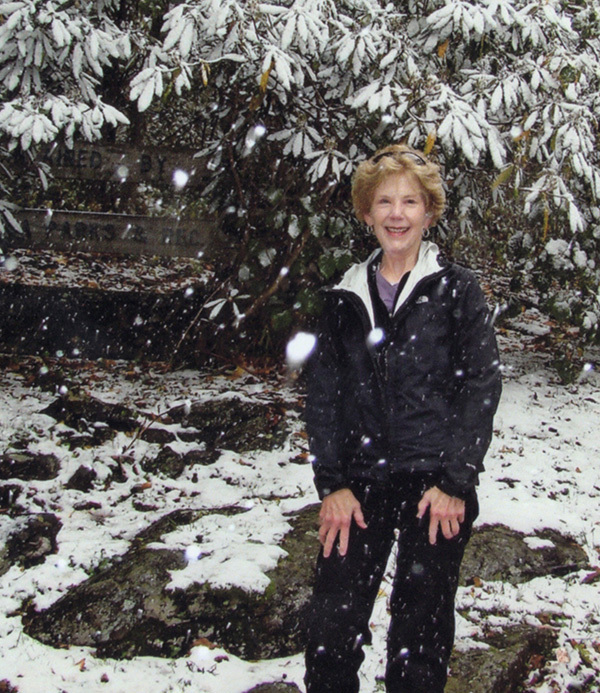 Brenda also continues to volunteer in a number of places — she helps the Blue Ridge Parkway Foundation build trails, and is one of our longest-standing volunteer distributors for The Appalachian Voice, and continues to serve on our Advisory Council. 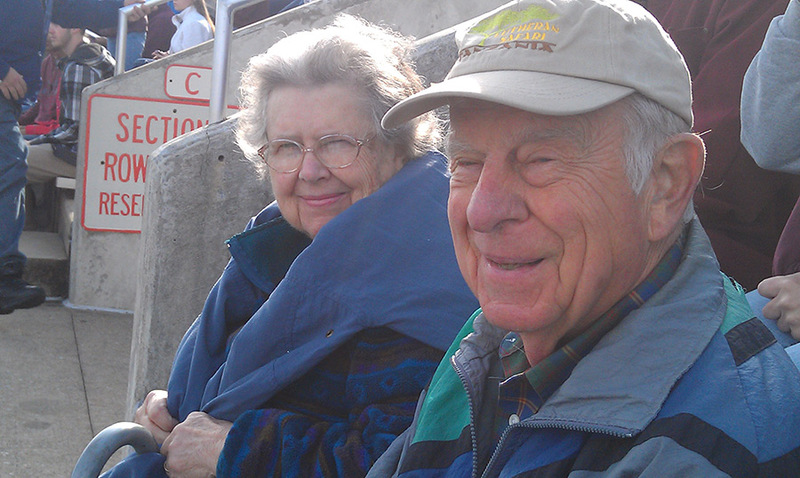 Judy Scurry, Winston Salem, N.C.
Like so many people who become members of our organization, Judy Scurry first heard about us through The Appalachian Voice, which she picked up while on a visit to Boone many years ago. Even though we were a small group at the time, Judy appreciated our mission. “Whatever they did in the mountains, it was going to be for the good of the mountains,” she says. 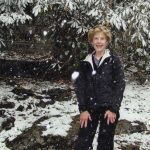 A North Carolina native, Judy’s love of nature started on fishing trips with her father, and bloomed in her youth during summers spent at Camp Yonahlossee, near Boone. A former middle school science teacher, mother of two and grandmother to six, she’s proud that she instilled in her children a love of nature. And she’s active in protecting the natural resources and beauty of Appalachia so that it can be enjoyed by future generations. In addition to her enduring membership in Appalachian Voices, Judy volunteers for the Reynolda Gardens of Wake Forest University, including their Young Naturalist Summer Program. Herbert Reid: One of the reasons that in 1968 I chose to come teach politics at the University of Kentucky was its proximity to Appalachia. At UK, I helped start the Appalachian Center … I developed and taught the first course in Appalachian Politics … I also had done much field research in the region and had been an active member of the first Appalachian Alliance. I believe it was in Rutherford County that my wife, Betsy Taylor, a cultural anthropologist who was researching chip mills, and I met [Appalachian Voices founder] Harvard Ayers. I believe it was through working with him in that context that we learned about Appalachian Voices. HR: Betsy and I devoted five years to writing a book answering this question. It is called Recovering the Commons: Democracy, Place, and Global Justice (U. Illinois Press, 2010). People live in places, not foxholes. Protecting our regions is also about the quality of life in places that matter to us. Among other things, we discuss how eloquently the late Larry Gibson’s defense of Kayford Mountain, W.Va., spoke to these issues. 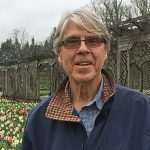 Eberhard Heide: I picked up a copy of The Appalachian Voice at Izzy’s Coffee Den years ago and as soon as I read the first page, I knew it was a newspaper that I could connect with. Having seen the horrors of environmental degradation early on growing up in the midwest, I was an early convert to the nascent environmental movement that was gaining traction in the US. Appalachian Voices was and remains a clear, honest and factual voice for presenting environmental issues that affect daily life in the region. EH: Some of my favorite places are the Highlands of the Roan, Mt. Rogers, the Blue Ridge Parkway, and to be honest, the entire mountain region has its charm. I am an avid birder, mountain biker and hiker. EH: The unique biological communities found in this region are a national treasure and are the very foundation of life. America is huge but shrinking due to population pressures which in turn impact all wild and natural areas that offer comfortable living for humans. Habitat destruction is a major issue that needs constant vigilance and attention. EH: I appreciate Appalachian Voices for its wide coverage of the whole southern mountain region. It makes one aware of things that need attention elsewhere as well as at home. Environmental degradation is an ongoing problem that needs awareness and a call to action and Appalachian Voices provides that clarion call as well as actual action to stop, fix or mitigate important issues. 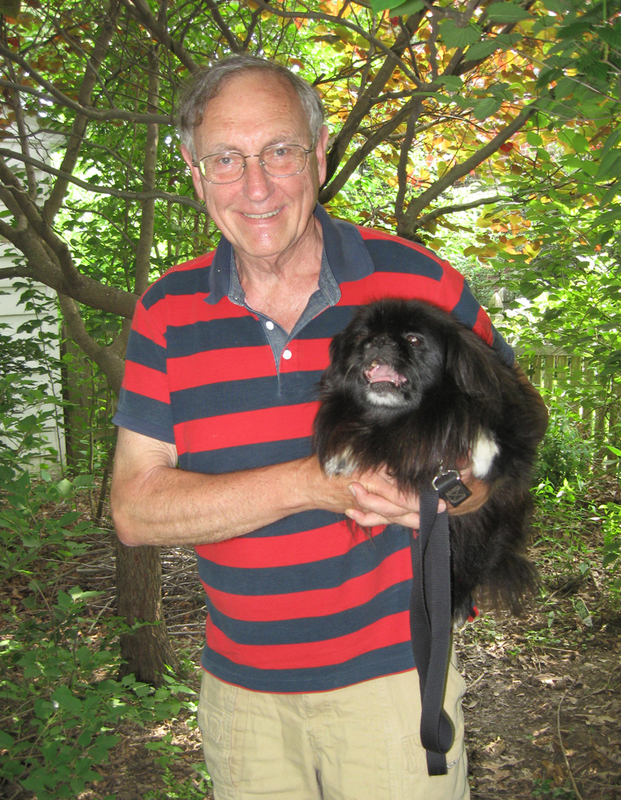 Robbie Cox: I had worked with Harvard Ayers in Sierra Club before he launched Appalachian Voices in 1997. After growing up in southern West Virginia, it seemed only natural to support a strong voice for the people and environmental struggles in Appalachia. RC: Appalachia is blessed by nature but cursed by an industry that’s despoiled both nature and the people of the region. Without strong advocacy, those responsible for mountaintop removal, chemical spills, fracking, pollution and more remain unchecked and unaccountable. RC: Backpacking in Dolly Sods, biking the Greenbrier River Trail, visiting friends. RC: Informative news, action alerts, and celebration of Appalachian people and places.